TUCSON, Ariz. — The following is a list of 10 draft eligible college players who have an excellent chance of being chosen in the first two rounds of next June’s Free Agent Draft with a good season. 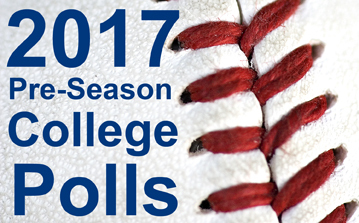 The list was made after consulting with college baseball coaches across the nation along with scouts. RHP Alex Lang, Louisiana St.
To read the reports on each of these 10 players and 47 more high profile players, purchase the Jan. 6, 2017 College Preview Edition of Collegiate Baseball or subscribe by CLICKING HERE. After watching one of the greatest World Series in history between the Cleveland Indians and Chicago Cubs last Fall, Rob Nelson was torn. He was thrilled at the twists and turns of this amazing World Series as the Cubs ultimately won their first world championship since 1908. However, he felt the strike zone was not being called consistently per rule book definition which caused plenty of gnashing of teeth in the two dugouts and homes across America. It is an area of baseball that has stuck in his craw for years. For too many years, he has witnessed the unique strike zones that all umpires have which often times go against the rule book definition. He has a simple solution which could be the greatest rule in Major League history. Simply utilize a mechanical strike zone in the Major Leagues similar to what tennis utilizes with the Hawk-Eye line calling system. Hawk-Eye uses six or more computer-linked television cameras situated around the court. A computer reads the video in real time and tracks the path of the tennis ball on each camera. These six separate views are then combined together to produce an accurate 3D representation of the path of the ball. The Hawk-Eye system was invented by Paul Hawkins, a British computer expert in 2001. It is now used in over 80 tennis tournaments around the world and takes the doubt out of close line calls, and it is 99.9 percent accurate. “Everyone knows that each umpire has his own unique strike zone,” said Nelson who pitched in hundreds of games during his baseball career and is the owner of Big League Chew bubble gum. “There are absolutely no negatives by having a mechanical strike zone which would allow precision with calling balls and strikes. “The technology is there to do it now. If such a change was made, you would see the game advance as never before with game times being reduced because pitchers and hitters would know precisely what they were working with in the way of a strike zone on a daily basis. And it would be fair for everyone. “If you truly want to see the greatest baseball players in the world perform at an even higher level, make the strike zone consistent. “I honestly don’t feel such a change would be insulting to umpires. It is no more insulting than having a plane be put in autopilot for an American Airlines’ pilot. “The toughest group of people to convince would be umpiring crews. But they should put their egos aside and realize the genius of such a change. “It is silly not to take advantage of this technology now that we have it available. “I couldn’t help but notice the strike zone on Kris Bryant of the Cubs a couple of times early in the playoffs. He is like Picasso out there with his knowledge of the strike zone to within a fraction of an inch. When an umpire rang him up a couple of times on questionable strike calls, he accepted it, walked away and didn’t cause a scene. He plays the game the right way. To read more of this story, purchase the Jan. 6, 2017 College Preview Edition of Collegiate Baseball or subscribe by CLICKING HERE. More insight into having a mechanical strike zone is explored by Rob Nelson who gives a number of reasons why the change would work to perfection. Precision command is the hallmark of great pitchers throughout history. It usually translates into great ERAs and wins. No college baseball coach the last four years has had as much success in having his staffs throw strikes than Jason Dietrich, former pitching coach at Cal. St. Fullerton the past four seasons who accepted the same role at the University of Oregon a few months ago. 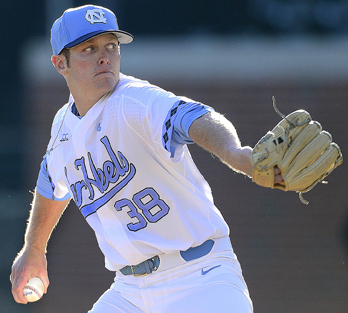 In four years with the Titans, his pitching staffs had the fewest base on balls in all of NCAA Division I per nine innings three times (2013, 2014 and 2015). During the 2013 season, Cal. St. Fullerton pitchers walked 86 batters over 547 innings (1.40 per game) led by Thomas Eshelman who set an NCAA Division I record with only 3 walks in 115 2/3 innings of work. Dietrich’s pitching system is explored in this special interview on how pitching command can be achieved. He has been a pitching coach the past 18 years on the high school, junior college and 4-year collegiate levels. His ability to churn out strike throwers who perform at an elite level is the reason he was named Collegiate Baseball’s 2016 Pitching Coach of The Year. He said recruiting pitchers with key traits is the first step in having future strike throwers for his program. “I like to recruit pitchers who have the ability to throw strikes,” said Dietrich. “Plus, they must have a great work ethic and mechanics that allow them to throw several pitches where they want to. They also must have the tenacity, makeup on the mound that is proper and not be afraid to throw strikes instead of nibbling on the corners which can get pitchers in trouble. I like to know what their aptitude is for learning. “Also, what is their track record? Are they proven winners? Are they intense and want to compete? A lot of coaches and programs look at those variables as well. 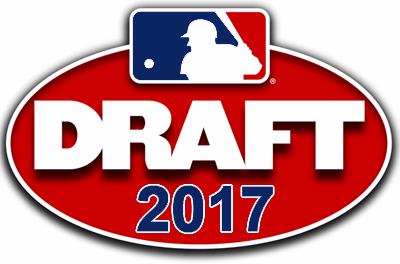 I use all the resources I can and watch as many pitchers as possible before going after the top players on our list. “I also go after guys who have projection down the road. College coaches are going after younger and younger players. So the job of identifying and projecting great pitchers is even more challenging now. All of this plays a factor in who we go after. Dietrich said he tries to put together a pitching staff that has the ability to not only throw strikes but destroy the timing of batters with different looks from the mound. 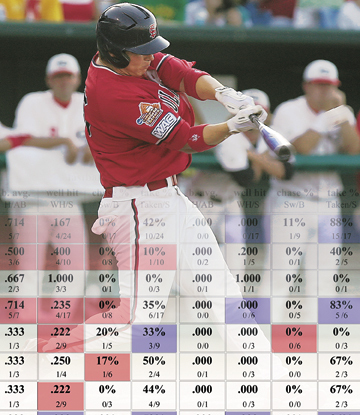 “Sometimes I think it is helpful to look for pitchers who have different angles and arm slots. Then we try to have a good mix of different types of pitchers who give a different look to hitters. “We don’t feel having a cookie cutter approach at all to our pitchers. If a couple of pitchers look the same but can get batters out and have all the qualities I discussed earlier, that is fine with me. 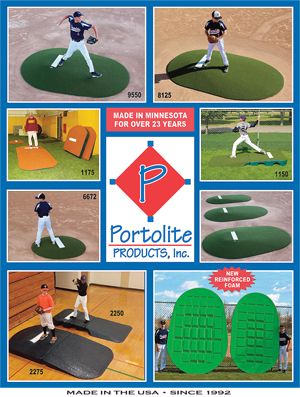 You might need a couple of additional lefthanders out of the bullpen or might need a lefthanded starter. “Then you do your due diligence on whether you need to bring in a junior college arm which may be more of a power arm with a good slider or someone with more off speed stuff which has great control with several pitches. Much more information on Dietrich’s techniques, including pitch MPH differentials that destroy the timing of hitters, why temper tantrums by pitchers should never be tolerated, how his freshmen produce so quickly under his system, what his pitchers do from the start of Fall practices, his important concepts with bullpens to produce precision strike throwers, improving the command of changeups, why fastball command is vital and much more. If you are involved in baseball long enough as a coach, you compile some amazing tricks of the trade that allow the your teams to reach their potential and beyond. You also learn techniques that allow every phase of job to become streamlined and easier. 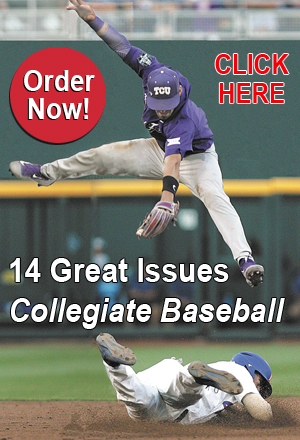 Over the years, Collegiate Baseball has interviewed coaches who have been the best in their profession. Here are a number of tricks of the trade that every coach will find useful. Ed Cheff led Lewis-Clark State College to an unprecedented 16 NAIA World Series titles and is the NAIA’s all-time leader in victories at one school with a 1,705-430-2 record over 34 years during a career that spanned from 1977-2010. No coach in college baseball history had a more analytical approach to trying to get his team to achieve elusive team chemistry. “Coaches need to develop their own formula to develop a ‘caring and believing’ atmosphere in their program by using the same planning, concern and constant evaluation that they devote to skill development and game strategy if the potential of the team is going to be realized,” said Cheff. “At the beginning of each year, the first team contact I have with my players is concerned with presenting our program’s formula for developing a ‘caring and believing’ chemistry. 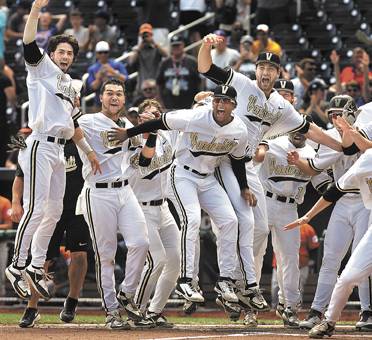 “We discuss the fact that they only take this journey, participating in a collegiate baseball program, once in their life and that they, along with the coaches, have the responsibility to make it one of the best and more rewarding experiences of their life. The first activity is a five day camping trip to British Columbia, Canada over the Labor Day weekend. Lewis-Clark St. typically played 3-6 games during this period. As the trip comes during the second week of school, it is the first opportunity for the players and coaches to get to know one another. “We impress upon the players that this is a great opportunity to reflect on their interpersonal skills to insure the first impression they project about themselves is a positive one. “Prior to the trip, the coaching staff provides the players with a few thoughts about interpersonal relationships that might help them initiate the friendships we hope will be created as a result of the trip. “1. Personal characteristics, such as empathy for teammates, tolerance for their differences, and humility, are the distinguishing traits of a respected athlete. “2. Each player will have assigned duties related to caring for the camp. This is a good opportunity to show responsibility and work ethic. “3. Everything they do and say makes a statement about themselves. Self-respect and maturity will help make positive statements. 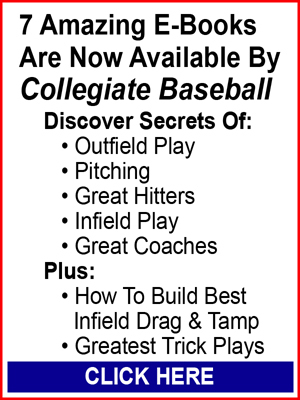 To read more about tricks of the trade that veteran coaches have discovered to help their teams excel, purchase the Jan. 6, 2017 to receive part 1 of this 2-part series of Collegiate Baseball or subscribe by CLICKING HERE. We will delve more into the intriguing subject of team chemistry as explained by retired Hall of Fame Lewis-Clark State skipper Ed Cheff. Other great techniques are also discussed such as how the fake bunt/slash was introduced to baseball, the importance of the walk and why disciplined hitters are crucial to run production. The importance of extreme team hustle and how it can give teams an edge as explained by TCU Head Coach Jim Schlossnagle, amazing Double Infield Drills from Nova H.S. (FL) Head Coach Pat McQuaid, how to raise $150,000 from Barbe H.S. 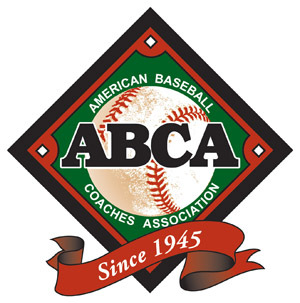 (LA) Head Coach Glenn Cecchini and orchestrating great bunt defense by Nevada Head Coach T.J. Bruce are also explained along with much more in this in-depth story.